An small and configurable addon to Mystcraft that provides tooltips on symbol pages. Will show the words in the Narayan poem as well as the grammar rules that the given symbol satisfies. Try the dial on the right. Does this mod have any server-sided functionality? No server-side functionality as of now. If in future I need to do something from the server, I'll make sure to mark the features that require it, and ensure the mod works fine from just the client side. Hi. 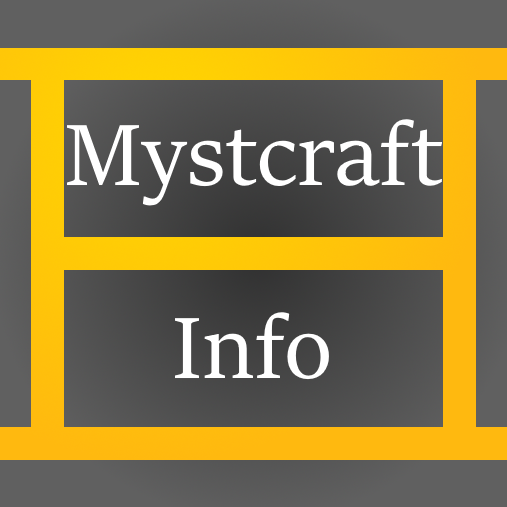 I tried to use this addon, but it tries to look for version 1.12.2-0.13.4.04 of Mystcraft. Does that even exist yet? Sorry, I had this marked as "experimental" thinking it would hide it until I unmarked it. I was working with XCompWiz on this mod and he needed to update Mystcraft to give the hooks I needed. He released those changes earlier today, so you should be good to go now. I did publish an update renaming the mod as well, but it's not needed if you already have a copy with the old name.